Most mobile hotspots are appropriately conspicuous, since they’re meant to be portable and stowable, after all, but the ZTE-made Sprint LivePro makes no stride to be subtle. Debuting first on Sprint, the 3G/4G hotspot is a veritable Swiss army knife, sporting a built-in DPL mini projector, back-up battery, and even HDMI out for media streaming. 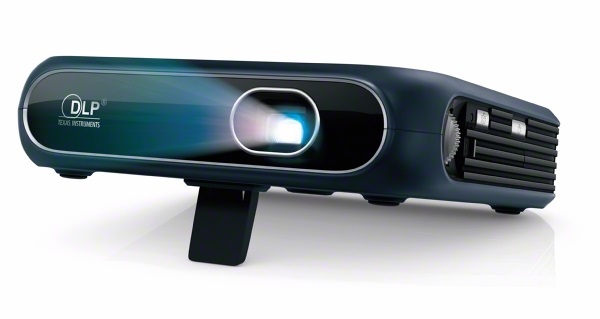 The projector, powered by Android 4.2, takes MacGyverism to the extreme. In addition to the 5,000mAh battery, it packs a 4-inch touchscreen, built-in speaker, and headphone jack. Plus, it’s launching with a companion app that can serve media to it wirelessly. The LivePro may sound absurd, but it might just consolidate a few gadgets you would normally pack on, say, a camping trip. One thing is for certain – if you can justify the $449.99 asking price, you are getting one heck of a conversation piece. Mini LG G3 Reportedly Outed as LG "G3S"